A passage into the past… the passing of generations. The evolution of an individual… the pursuit of the infinite. To me, doorways represent possibilities and growth along the path of life. Rays of sunrise reflected and diffused by the walls of this ancient pueblo lend luminescent color to each room, further evoking a journey from darkness to light. 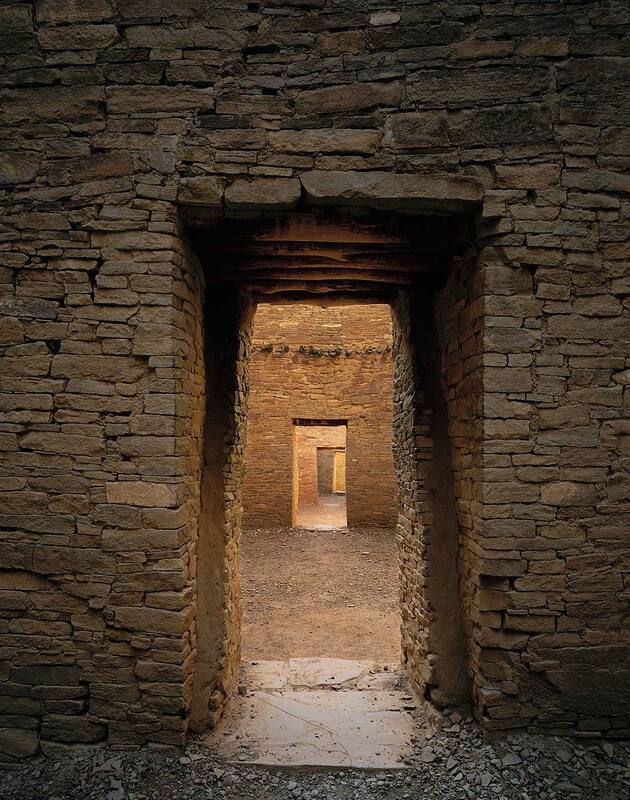 Once home to a culture that created large-scale, pre-planned architecture, astronomical markers, and a network of roads, Chaco Canyon has fascinated archeologists for decades.